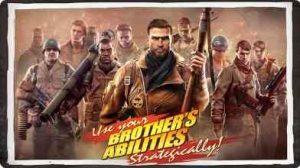 *IMPORTANT* Brothers In Arms® 3: Sons of War requires an iPad 2 (or newer), iPhone 4s (or newer), or iPod touch 5th Generation. We are very excited about the ways the Apple Watch can expand and support the gaming experience of Brothers in Arms 3. Therefore, we’re happy to bring players a dedicated companion app meant to deliver important game information directly to their wrist. Follow us on Twitter at glft.co/GameloftonTwitter or like us on Facebook at http://facebook.com/Gameloft to get more info about all our upcoming titles.